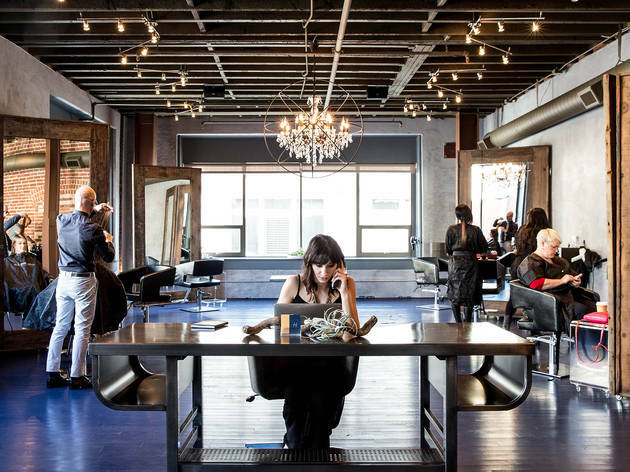 It’s hard to determine what’s more stylish: the Financial District salon’s industrial-chic digs (painted blue floors, boat-wood mirrors, epic chandeliers) or its stunning cut and color jobs. In-the-know stylesetters flock here for on-point primping sessions led by co-founding couple George Falcon and James Mackey; the duo is as comfortable working with blonde bombshells as they are raven-haired indies. 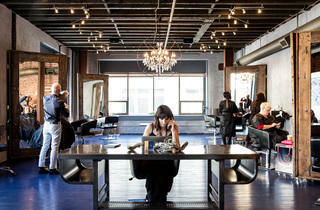 They also specialize in makeup and smoothing keratin treatments.